MOSCOW, July 10. /ITAR-TASS/. 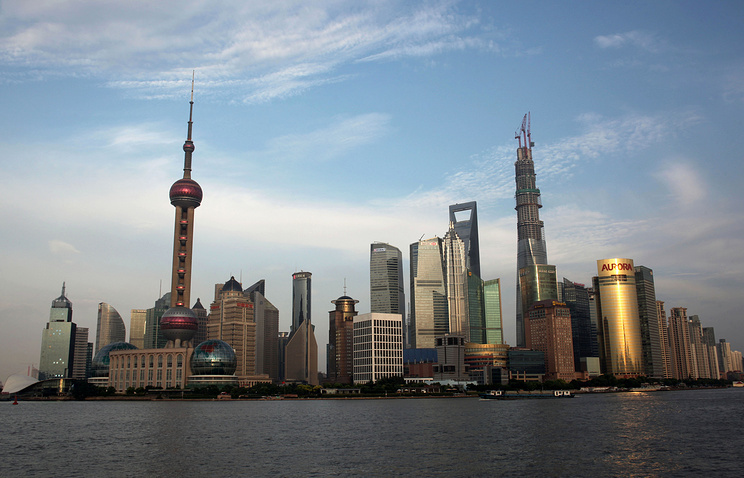 BRICS bank will be headquartered in Shanghai, Russian presidential aide Yury Ushakov told journalists on Thursday. This was recorded in the documents, he added. Russian Finance Minister Anton Siluanov earlier said the short-list of cities for the bank's headquarters included Shanghai and New Delhi. The authorized stock of the bank amounts to $100 billion, the dedicated capital — $50 billion, the paid-in capital — $10 billion (paid upon request — $40 billion). The paid-in capital will be formed within 7 years. “Russia’s stake is $2 billion, that means the capital is proportionally distributed among the bank’s participants,” Siluanov noted earlier. There is an agreement between the countries that the stake of BRICS members in the capital will not be lower than 55%. The bank will engage in infrastructure projects mainly in the BRICS countries. The pool of nominal exchange reserves will be able to quickly react to capital outflow providing in swaps the liquidity in convertible currency. It will amount to $100 billion. The distribution among the member-states will be as follows: China - $41 billion, Brazil, India and Russia — $18 billion each, South Africa — $5 billion. The national banks of the BRICS states will be keeping their resources designated as stakes in the pool within their gold and forex reserves. The plenary session of BRICS summit will be devoted to the search for new sources of economic growth. In addition, the leaders will meet with the leadership of the BRICS Business Council. According to Ushakov, Russia is represented by members of the Chamber of Commerce and Industry, Rostec state corporation, Russian Private Equity Fund, Russian Railways OJSC, and Vnesheconombank. The leaders will place a special emphasis on the international agenda, in particular the situation in Syria and Afghanistan, the Middle East settlement and the Ukraine crisis. The five countries advocate political and diplomatic settlement of conflicts and reject force and sanction pressure as means of politics “violating other countries’ sovereignty”, Ushakov said. The summit first day is planned to end with a Fortaleza declaration and plan of actions. The declaration would reflect the BRICS view of “the current political and economic situation and the BRICS countries’ common approaches to the issues of international cooperation”, the presidential aide added. Apart from the official program, Russian president Vladimir Putin will meet Chinese President Xi Jinping and the recently elected Indian Prime Minister Narendra Modi. “This will Putin’s first meeting with India’s new leader,” Ushakov said. A breakfast with South Africa’s President Jacob Zuma is also on schedule. On the next day, the five leaders will go to Brazil’s capital for an outreach meeting with Latin America’s presidents and prime ministers to discuss prospects of cooperation with the countries in the region, particularly in trade and investments. Putin will also meet Venezuelan President Nicolas Maduro, Bolivian leader Evo Morales and have the first meeting with the president of Uruguay Jose Alberto Mujica. Other brief meetings were possible, Ushakov said.